Whether you are a lean start-up or an established leader in your industry, some part of your organization is going to need a little outside help from time to time – market insight, deep subject-matter knowledge or operational know-how – from an expert in a particular field. While large consulting firms are generally capable of providing a fair level of help, they can sometimes be unnecessarily expensive, slow to integrate into your organization, and may ultimately lack the degree of fluency that your organization needs to solve a problem or implement a new business practice quickly. Sometimes, a smaller team of experienced consultant with deep, fluent knowledge of a particular topic can be a much more agile, cost-effective, and ultimately more efficient option for most organizations. Olivier’s unique blend of operational experience and subject-matter expertise may make him the ideal consulting partner for your next project, strategy meeting, audit or executive retreat. Services range from 30-minute phone briefings and light advisory to long term program implementation and project management. Olivier also provides consulting services for select entrepreneurs and executives looking for support, guidance and actionable advice. If you are interested in finding out more, contact us for more details. Social Business Strategy: aligning social business activity to key business objectives, using social technologies and processes to improve business performance. Social Business Design: process and workflow architecture, IT enablement, best practices development. Social Business Integration: focus on technical enablement, employee training, social program deployment, internal collaboration, and external/partner collaboration. Social Business Management: operationalization of social business programs, establishing centers of social business excellence across key departments. Social Business Measurement Anaytics & Reporting: establishing credible measurement methodologies, establishing actual ROI measurement methodologies, developing an effective social business reporting practice. Brand Management: analog and digital, trends, risks and opportunities, new best practices, design, management. Digital PR Crisis Readiness: evaluation, best practices, program design, program build, program management. Digital Crisis planning and management: best practices, case studies, design, implementation, audits. Digital Reputation Management: best practices, case studies, design, implementation, audits. Digital Customer Service: best practices, design, implementation and management. Product Innovation: enablement, design direction, testing and management. Identity: branding ideation, design and management. Customer Experience Design: best practices, consumer insights management, design, testing and implementation. Change Management: operational design, corporate culture analysis and design, process integration, employee training. Digital Transformation and Change Management: Company-wide planning, training, and development oversight. Digital Monitoring and Listening: best practices, operational design, training, management and reporting. Digital Campaign Planning and Management: Strategy, planning, design, implementation, audits. Community Management: design, best practices, training, management, performance measurement and audits. Content Strategy: evaluation, design, resource management, planning, performance measurement. Emerging technologies and new media trends: analysis and insights, what they mean for your business, SWOT. New trending in consumer behaviors: trending data, analysis and insights, SWOT. Market disruption: What new technologies, consumer trends, processes and market developments will have an impact on your business. Competitiveness in the Age of Experience: From products and services to experiences – The third market you aren’t leveraging yet. Business Darwinism and the coming 4th Industrial Revolution: Relevance, adaptive business models and new areas of opportunity in the post-industrial era. Social Media Competence Evaluation (HR): candidate evaluation, contractor evaluation, internal resource evaluation. Agency/strategic partner effectiveness: evaluation of an agency or strategic partner’s overall effectiveness. Campaign Troubleshooting: something isn’t working? 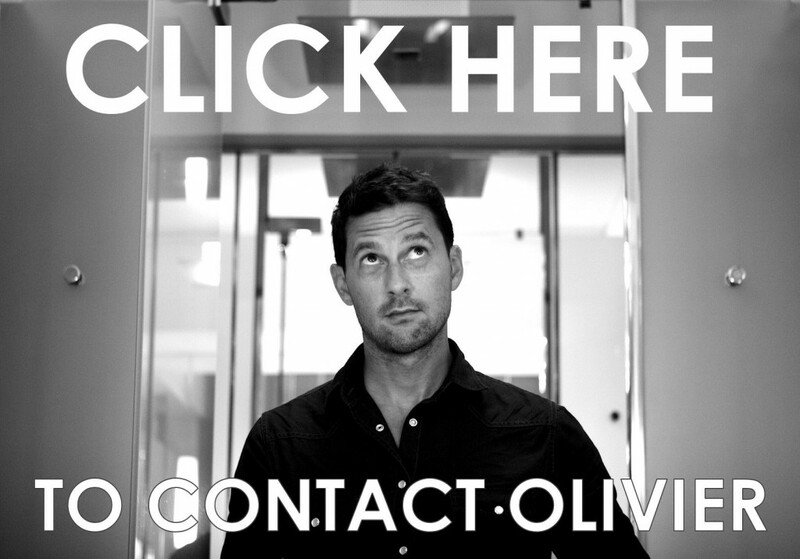 Let Olivier help you fix it. Recovering From a digital PR Crisis: rebuilding brand equity, credibility and consumer trust. To discuss your specific needs, contact Olivier by clicking on the graphic below (don’t worry, it’s quick, painless, and your inquiries are 100% confidential).